Purism, Constructivism, Rationalism, or Functionalism—these are terms seeking to give a name to various aspects of the notable phenomenon that literally obsessed the European architectural scene in the 1920s. One of the main art centres where the new approach to architecture was developing had, since the beginning, been Prague. Functionalism was not just passively accepted here but further evolved practically and theoretically. Thanks to the talent and enthusiasm of an entire generation of young architects, Prague, aside from Brno and Zlín, became an architectural laboratory whose importance by far exceeded Czechoslovak borders and Prague-built functionalistic projects belong among the jewels of world modern architecture. The austere line of Czech architecture that represented its most outstanding stream in the past two decades is undoubtedly affected by the heritage of pre-war Functionalism – a heritage many times resuscitated, modified and creatively developed. Among this broad and internally differentiated stream may surely be added the contemporary Prague buildings presented at the second part of this exhibition. The basic idea of the exhibition is to present this golden fund from the history of Czech and Prague projects influenced by the functionalistic archetype. Visitors will have the chance to see the most famous modern buildings in Prague from the interwar period, the Villa Műller by Adolf Loos; the masterpiece of Czech Functionalism, the Mánes Union of Fine Arts building by Otakar Novotný; the Catholic church of st. Václav by Josef Gočár; the Baba Villa Colony and other outstanding projects and buildings in Prague Functionalism style. Contemporary architecture is presented by for instance the Palace Euro (DaM), Muzo Centre (Stanislav Fiala, D3a), the puristic Kolbenova Metro station (DUM architekti) or family houses and villas. 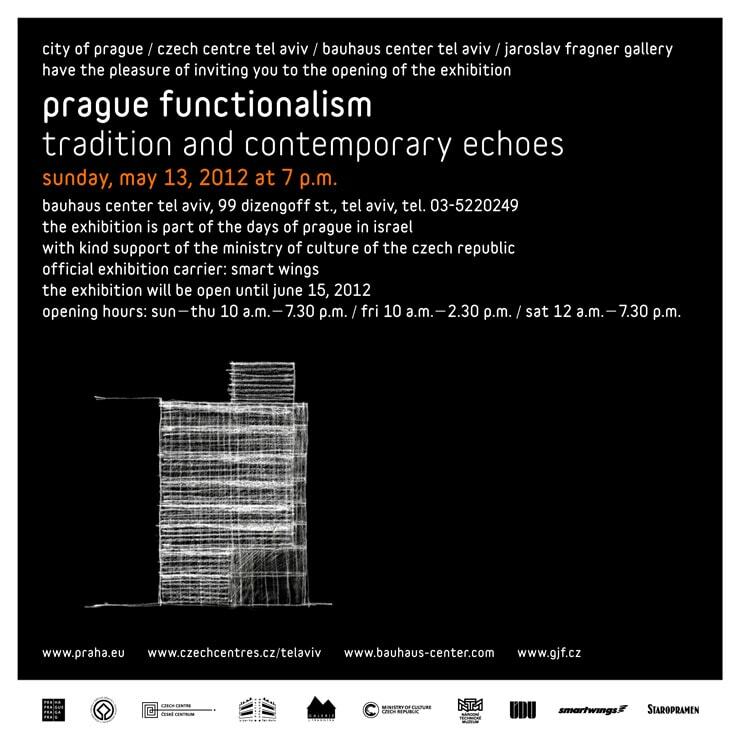 The exhibition was prepared by Jaroslav Fragner Gallery, professionally assisted by the leading Czech theoreticians of architecture Mr. Zdeněk Lukeš and Petr Kratochvíl.